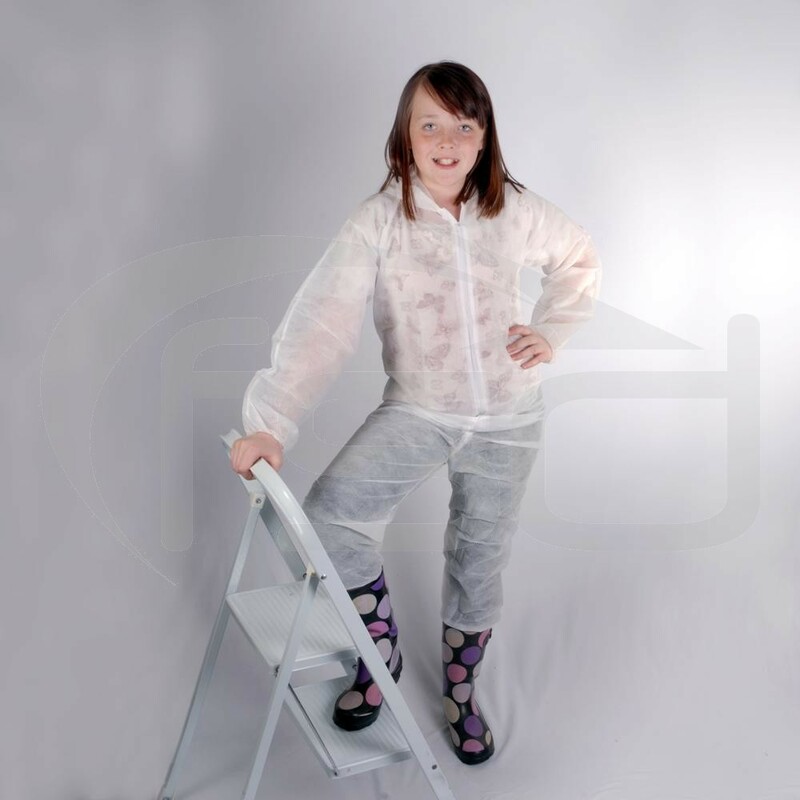 White 40 GSM Spunbond polypropylene disposable coverall with hood. Elasticated wrist, ankle and waist. Zipper with double zipper flap. V-shaped crotch, no pocket with 1.5 cm reinforcing strip at arm and crouch.